Educating the public on how to live harmoniously with Sooke’s wild life is the guiding principle of a new organization launched by former WildSafe BC regional coordinator Debb Read and Nitya Harris of Vancouver Island’s Coexisting with Carnivores Alliance. It will operate under the auspices of the Sooke Transition Town Society. Wild Wise Sooke will initially and primarily focus on bear management as Read continues a highly effective campaign she began in 2012. 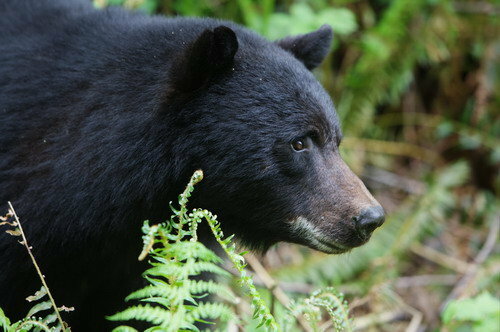 Sooke is statistically one of the Canada’s leading hotspots for black bears. Problems arise as bears become habituated to dining on garbage rather than berries and roots. In turn, this creates safety issues and, in increasingly rare instances, fatal consequences for the bears. The good news: Read’s efforts have decreased the number of local complaints to conservation services by 40 percent (down to 278 calls last spring and summer). Better still, only four bears needed to be destroyed last year in the District of Sooke compared to 16 in 2013. Sooke is now ready for its own community wildlife education program directed by a founding working group that features Read, Harris, the District of Sooke’s Laura Byrne, the EMCS Society’s Ebony Logins, Transition Sooke’s Jeff Bateman and the Chamber of Commerce’s Travis Butler. The RCMP’s Jeff McArthur and Conservation Officers Peter Pauwels and Richard DeKelver are part of the advisory team. The new organization is seeking volunteers, donors and partnerships with local non-profits, businesses and funding bodies. In time, the educational focus will turn to cougars, raccoons, deer and other local inhabitants. For further information, please contact Debb Read at debbread@icloud.com.